How lucky am I to have the privilege to review a brand new Herbal Zine, The Indie Herbal Leaflet, offered up by lovely herbalist Agatha Noveille? Beautifully voiced, the Indie Herbal has been lovingly crafted with a bit of whimsy and a whole lot of great information about herbs. This first issue of the Herbal Zine is chock-full of great recipes, formulated specifically for the challenges of the winter season. There is a special little section on making herbal syrups (a favorite herbal preparation of mine!) with several recipes for supportive care during the depths of winter or anytime! Especially tasty and effective sounding is the Busy Bee Adaptogen Honey Syrup made with rhodiola root, schisandra berries, and more. What a delightful way to get your daily dose of adaptogenic herbs! This issue of the Indie Herbal also has a wonderful passionflower monograph. Going beyond traditional indications, I loved the way Agatha not only presents the herb by body system but also has a special section concerning passionflower “Support by Populations.” In this section specific uses of the herb are discussed for women, men, the elderly, and children. Pretty cool! Also included are inspiring little worksheets just for herbalists! With topics to consider such as "Create Your Ultimate Botanical Bucket List" and "Draw A Picture Of Your Favorite Winter Herb," Agatha provides a fun way to enjoy herbalism! The Indie Herbal Leaflet was pure pleasure to read with words to inspire and share about the beautiful art of herbalism. Offered quarterly, the next issue is about home medicine making, just in time for Summer when fresh herbs are abundant. You can learn more about the Leaflet HERE! Be sure to visit Agatha’s informative and lovely blog The Independant Herbalist for more herbal inspiration including a rockin’ blog and a great page with reading resources. 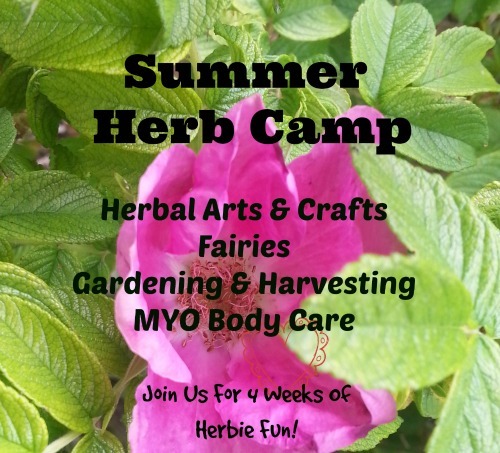 Looking for more herbal learning opportunities? The Herbal Academy - offers online learning from the beginner level all the way through to advanced learning. This online herbal school offers learning for the beginning herbalist and the way through to the advanced level! Visit The Herbal Academy here to learn more about their courses and offerings. Natural Herbal Living Magazine - A monthly herbal magazine offering in depth learning by focusing on one herb per month. Visit the Natural Living Magazine here. Plant Healer Magazine - This beautiful magazine is written for herbalists by herbalists! It is full of inspiring words and stories. Visit Plant Healer Magazine here for a dose of inspiration! * Please note: This post contains affiliate links. Please visit my affiliate page for more information. Thank you for supporting Mama Rosemary!